Some commentary has noted that Donald Trump carried a number of the states where the strikes occurred, where union members tend to be a lower percentage of the workforce and have fewer collective bargaining rights. Among the many themes of the strikes, at least two relate to their red-state hue. The first, widely commented on, is that reactionary state governments have been aggressive in their assaults on the living standards of the majority of their populations. In the face of dramatic tax reductions on corporations and the wealthy, attacks on workers and unions, and the undermining and underfunding of education and other public programs, teachers who have not gotten raises often for years while working conditions deteriorate, finally said enough. People’s class allegiances emerge as struggles intensifies, and that some of the striking teachers may have voted for Trump is irrelevant. The focus on whom the strikers voted is of great interest to the punditocracy but obfuscates that the struggle between the super rich and the rest of us will unfold primarily in workplaces and on the streets, not in voting booths. There were also fissures between union officers and some rank and filers who believe officers in Oklahoma, for example, were too timid in calling off a strike that had not yet achieved all of the teachers’ demands. 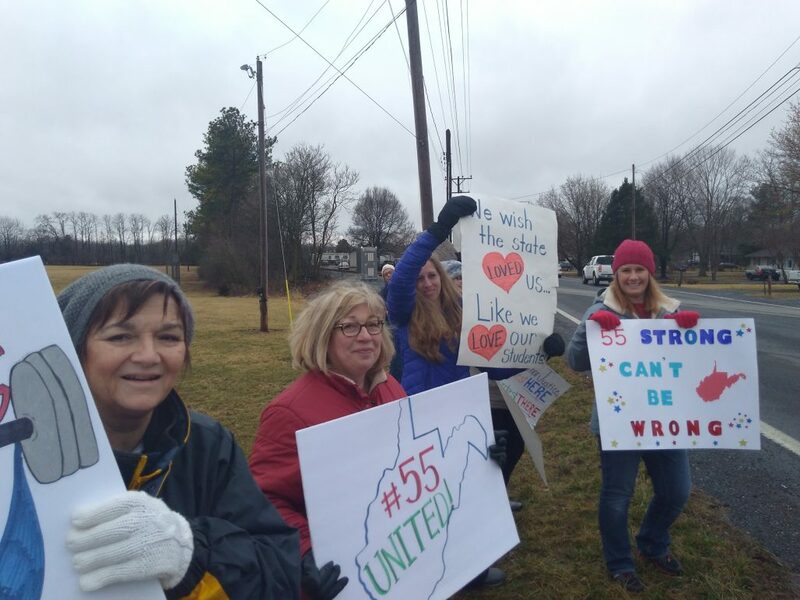 In West Virginia, teachers remained out in defiance of union officers who tried to end the strike. Efforts by nervous officers to curtail or even prevent strikes echo events in Wisconsin in 2011, when workers occupied that state’s capitol building before union bureaucrats shut down the protests and essentially told the workers to go home and find a Democrat to vote for. The fissures in the teacher unions will not go away, and a galvanized rank and file may emerge that can address that timidity. That much of the work in preparation for and during the recent strikes was done outside official union channels speaks to the possibility for changes in union structure and culture. In the early stages of the neoliberal epoch in the 1970s, public school teachers in Bridgeport, Conn., went on strike for many of the same reasons 40 years ago. The Board of Education and the Bridgeport Education Association (BEA), the collective bargaining representative of the city’s 1,247 teachers and about 100 other school professionals, had been at loggerheads for months. 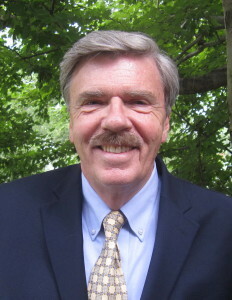 Connecticut law forbade strikes by public school teachers, however, and many Bridgeporters were caught off guard by the picket lines on the first day of school. Much like the strikes in 2018, the teachers in 1978 had widespread public support. Hundreds of backers, including students and their parents, joined the picket lines. At one site, members of a neighborhood group played an active role in urging students and parents to either join the picket line or go home. Like the 2018 strike wave, the walkout in Bridgeport was one of many that September. Teachers in Philadelphia, Boston, Cleveland, Seattle and numerous smaller cities and towns saw schools closed because of strikes, and some of those actions lasted for several weeks. It was the Bridgeport walkout, though, that was the longest and the most contentious, as teachers faced a local power structure determined to crush it. In what were the early stages of the austerity agenda of the business class, Bridgeport’s teachers had seen wages and benefits lag and classroom sizes grow in the years leading up to the 1978 strike. They had accepted a concessionary contract in 1975, causing salaries to fall to the bottom in Fairfield County (as they are today) and among the lowest in the state. There was also a growing exodus of teachers from Bridgeport to higher-salaried jobs in nearby school districts, another trend that continues in 2018. 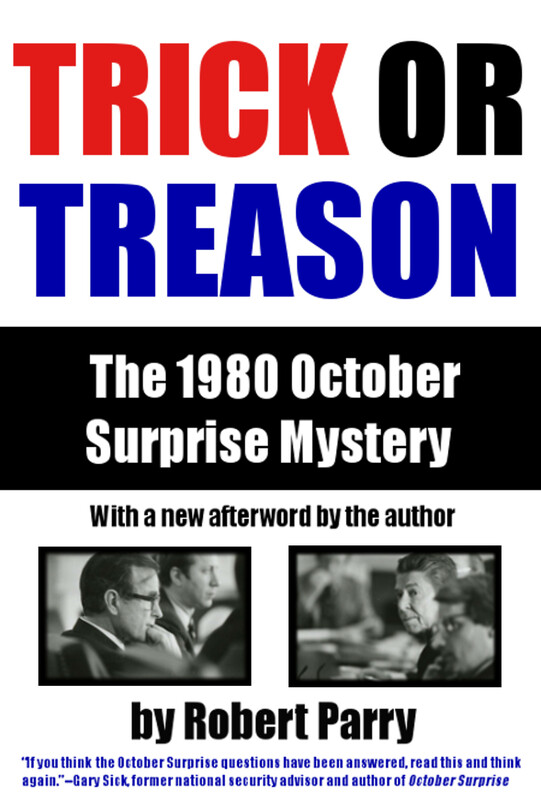 From the outset, the 1978 strike was highly successful. Only 36 teachers, or less than 3 percent, reported for work on the first day of school, and that number dropped in the days that followed. The Democratic mayor and the Democrat-majority Board of Education kept elementary and middle schools open at first by utilizing a small number of teaching aides, substitute teachers and accredited, unemployed teachers, but only 10 percent of students showed up. The city’s Parent Teacher Association, meanwhile, supported the strike by rejecting a call by the board that they volunteer in schools and assist scab teachers. Arrests began just days into the strike and State Superior Court Judge James Heneby began levying fines of $10,000 per day against the union. As the strike continued, Heneby ordered the union’s officers jailed. The first jailings occurred on Sept. 12, the fifth school day of the strike, when 13 teachers were handcuffed and carted off, the men to a prison in New Haven and the women were sent to a prison in Niantic some 60 miles away. Those arrested endured degradations such as strip searches and being doused with lice spray. 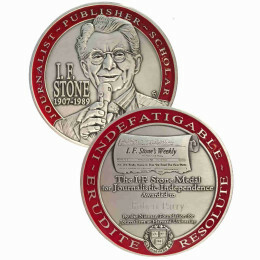 Adding further insult, Heneby imposed individual fines of $350 per person per day on the arrestees. Angered by the arrests and the teachers’ subsequent treatment, the strikers turned out to the picket lines in larger numbers and with greater determination and militancy. One result was that the city and school board were forced to abandon efforts to keep any schools open. With all 38 schools closed, another 115 teachers were arrested in the next few days. In all, 274 were arrested during the strike, 22 percent of the total in the city. As prison space became scarcer, many of those in the later waves of arrests were packed onto buses and taken 70 miles to a National Guard camp that was converted into a makeshift prison. As the confrontation continued into late September, and with all of the other strikes around the country settled, the mass arrest and imprisonment of Bridgeport’s teachers was drawing international attention and causing local elites and city residents as a whole great embarrassment. Despite the arrests, imprisonment, fines and some tense scenes on a number of picket lines, the teachers stood firm. Finally, on Sept. 25, after 14 school days, the teachers union and Board of Education agreed to accept binding arbitration. All teachers, some of whom had been locked up for 13 days, were released from prison. The final terms of the agreement were largely favorable to the teachers. 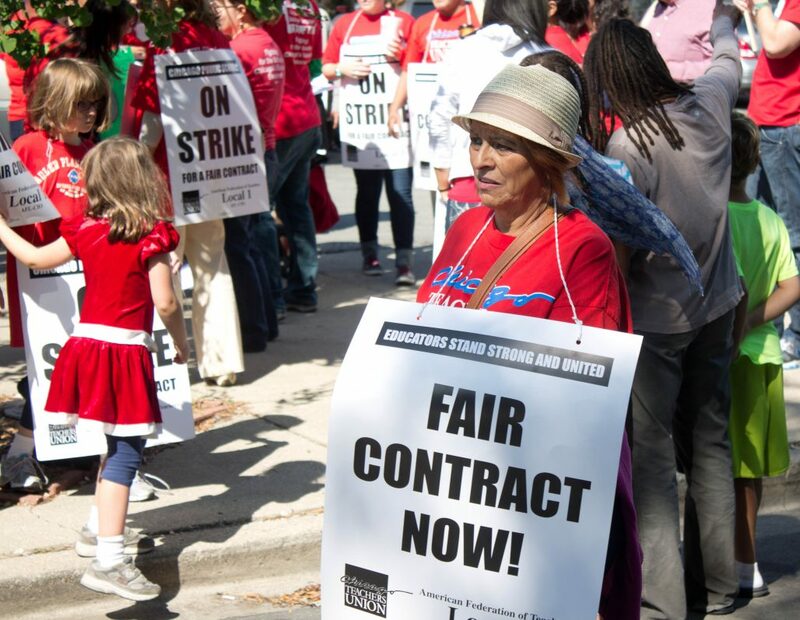 In the strike’s aftermath, the Connecticut legislature passed the 1979 Teacher Collective Bargaining Act that mandates binding arbitration when teachers and the municipalities they work for are stalemated in contract negotiations. While some observers saw the law as a victory for teachers, it was still illegal for teachers in Connecticut to strike, as it remains today. In addition, a number of changes to the law since 1979—such as one that allows municipalities but not unions to reject the decision of an arbitrator—have weakened the bargaining position of teachers. No militant strike wave or reinvigorated workers’ movement followed the strikes of 1978. Rather, it was capital that escalated its offensive, one that continues to this day. Probably the most noteworthy strikes by teachers since 1978 came in Chicago where teachers walked out for nine days in 2012 and for shorter durations several times afterward. The Chicago actions gained significant victories and showed a country where strikes have become rare that they can be effective. The 40 years from the Bridgeport strike to today cover the period in which we have seen the most radical upward redistribution of wealth in human history. There is much gut-level support for radical change on many issues, including the state of education and working conditions for teachers. The wave of strikes may be a turning point. If that is to be the case, continued organizing and coalition-building is essential. Striking teachers in 2018 did not face anywhere near the state repression as those in Bridgeport in 1978. There wasn’t a single arrest during the recent strike wave reported. But entrenched power will push back hard and fast on all fronts, as it always does. The recent strike wave presents an opportunity for catalyzing the large-scale, but mostly diffuse discontent among workers across industries and sectors toward something more cohesive and better organized. The thousands of teachers and other school workers who stepped forward in recent months are well-positioned to make that possibility reality. It is of great significance that in the West Virginia strike at least, teachers refused to accept a demand by the governor that improved pay and benefits would be paid for with cuts in much-needed programs for the working class as a whole. Mainstream commentators who regard union workers as nothing more than a special-interest group focused on their own well-being had no idea how to react to that. For those who recognize increased class consciousness as essential to long-term social change, the teachers’ rejection of West Virginia elite efforts to conclude the strike by driving a wedge between themselves and other workers was an important step. A challenge facing the burgeoning movement among teachers is that the underfunding of education has proceeded at a higher and faster pace in places with a higher percentages of students of color, particularly African-Americans. Seriously addressing this point and developing strategies through their unions—in the networks they’ve established and in coalitions they join—will go a long way in determining how broad, militant and effective those organizations will be. 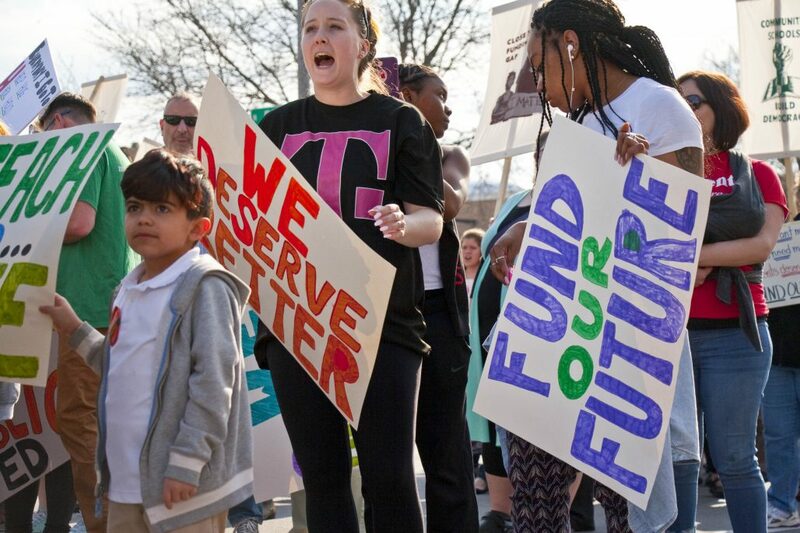 Events of recent week indicate that teachers and other school staff are determined to build on what happened in the spring and may be the spark needed to reinvigorate a broader labor movement. An earlier version of this story originally appeared on Peacenews.org. Want to help the teachers? Then get rid of the centralization of education. Having the state divvying out the education budget has done nothing good for our schools. Some schools are dumping sports teams, art, music and debate clubs yet most are pushing common core education and LGBTQ lessons on children. Most teachers are great and caring but they are also a part of the very system that is literally dumbing-down and socially engineering our children to question their sexuality and question basic math concepts. Our education system is horrible and getting worse. Both parents and teachers need to step up and get the feds and the state out of education. Locals can teach their kids much better. Only then will teachers be whole again. What we all seem to forget is our education system is failing our children. Many are ill equipped to enter the job market, let alone be able to count change, or write a sentence without using a hieroglyphics. In the real world, those who don’t perform lose their jobs, and those businesses that don’t constantly finds ways of improving go out of business. Public education is the anomaly. Due to mandatory funding by taxpayers, this corrupt and failed system of indoctrination survives. Education is a product, a service. If these schools were accountable like a business our kids would receive the education they deserve. Why should these incompetent cretins that are failing at their jobs be given more money, or benefits.THEY SHOULD BE SHOWN THE DOOR. One other point, it’s become apparent that if we ever hope to put an end to the illegality/immorality/insanity of the endless wars of aggression we’re engaged in we’re going to have to take matters into our own hands. There are precious few of our elected representatives who take a principled stand in opposition to this abomination. Even a lot of our representatives who are purportedly “progressive” are silent or offer only timid, token opposition. (To me, no one is entitled to call themselves “progressive,” I don’t care how good their economics are, unless they also take a robust, outspoken and systematic anti-imperialist stand.) 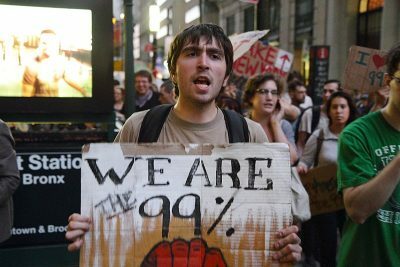 I’m encouraged by the opposition I see on social media and polls that show widespread opposition, but I’d like to see this translate into more direct public activism ala the Occupy Movement. There are too many lives hanging in the balance. There is an urgent moral imperative here. Who pays you write this divisive tripe? Thank you for a fabulous article that reminded me of Zinn’s People’s History of the US. ONLY people, united can effect change. More power to striking teachers, one hopes they continue and have success in gaining demands and compromises. What, BTW, are “private totalitarian corporations”? I would say they are in the multiple choice not belonging in your list, R Spencer. Well, there is no question but that capital has way too much power and so for that reason, I’d like to see unions with a whole lot more power. On the other hand, the capitalists may have screwed themselves. You notice that the official unemployment rate is frequently touted as the lowest in umpteen years, yes? Do you seriously think that all the jobs lost in the Great Recession and then some have been recreated? I don’t. The first wave of the Boomers are retiring. I qualify. I remember working when you didn’t have everybody demanding drug tests, or ethics training or whatever. And the pay ain’t great. Screw it. I’ll retire and take all my experience with me. And they can hire 1-1/2 to 2 people to replace me. As long as teachers still teach the same old societal lies and bs -what is the point? Only a revolutionary education that awakens student’s questions about our failed culture has any relevance in our dying world. The teachers’ strikes and work actions that have occurred in several states over the last year have been some of the most welcoming news in decades. They’re arguably the most heartwarming, positive story to come out of the United States since Medicare was passed in the 1960s. 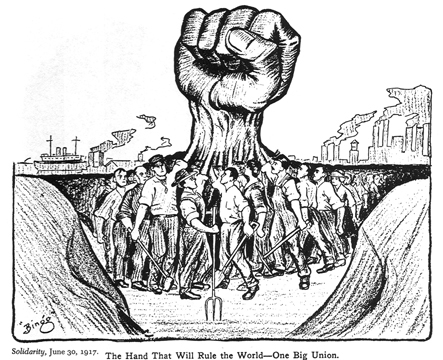 The strikes — which spread like wildfire — showed everyone how to advance the cause of workers’ rights everywhere. ONLY when the employer class is faced with a substantive demand and a threat to their wherewithal will things move in a positive direction for 90% of the toiling masses. It’s this exact type of worker solidarity that the corporate owned news media have been trying to downplay, ignore, mock or denigrate b/c they well know it’s the driving motor force of history. The teachers ardent and robust show of force had our elites and neo-fascist righties terrified out of their skulls.